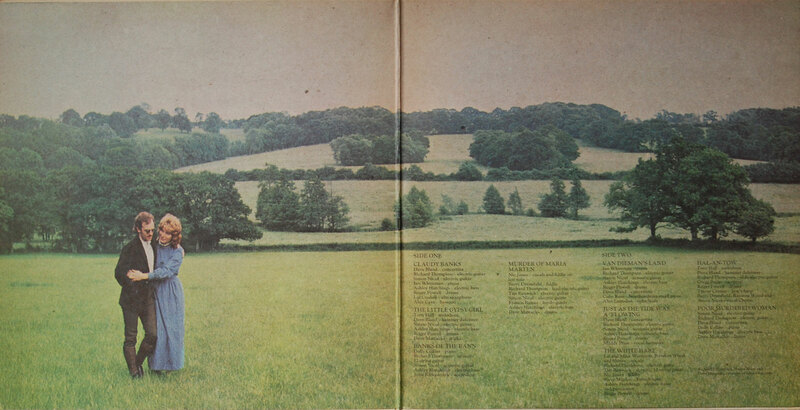 Gatefold sleeve printed on unfinished/uncoated board to give a ‘natural’ look. Printed by EJ Day Group with credit on rear sleeve. 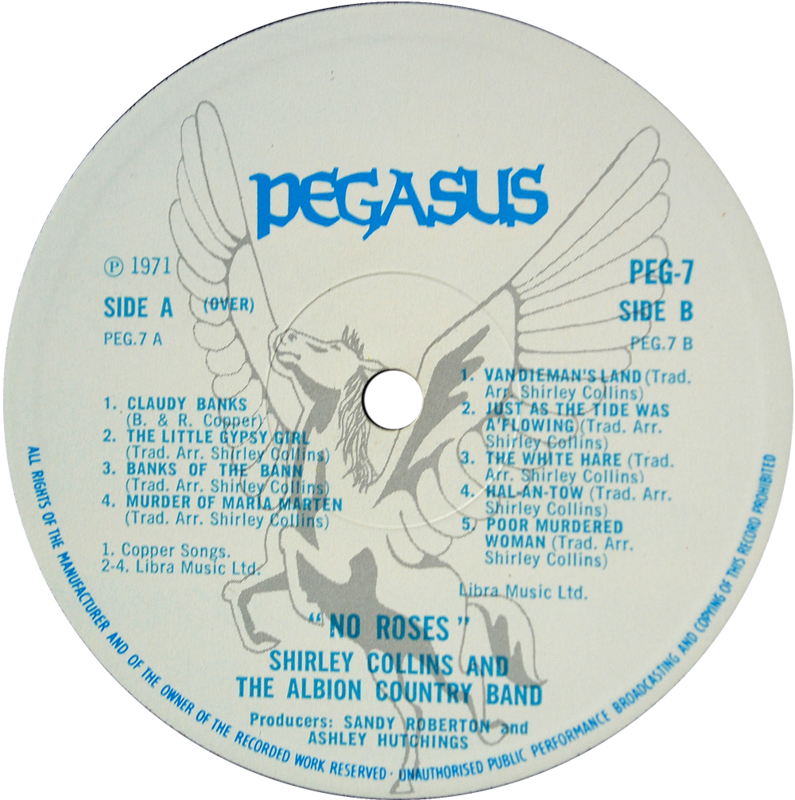 Large winged horse design on A side label. This was originally intended to be released on the B&C Records label and has the B&C matrix stamped in and then crossed out. The new Pegasus matrix is stamped in beneath it. 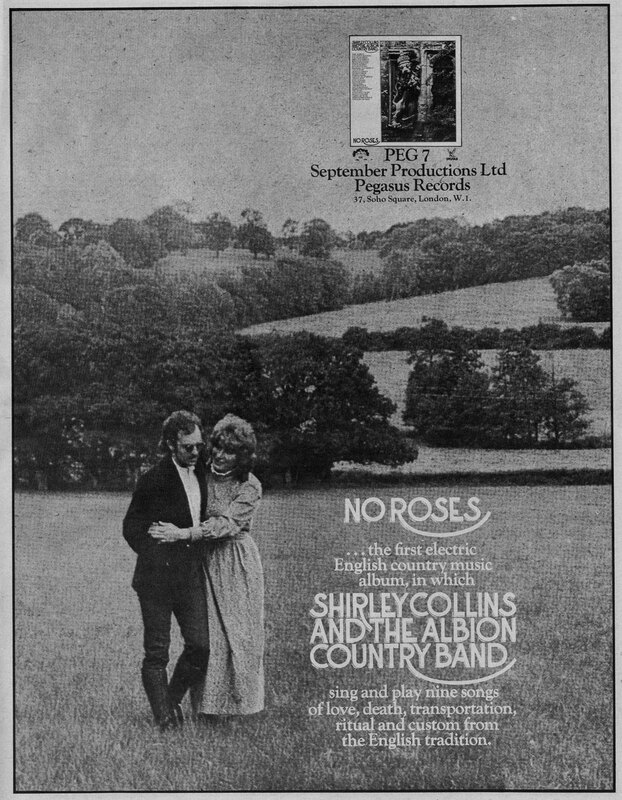 Here’s a full page ad that appeared in 13 November 1971 issue of Melody Maker, advertising the new album. 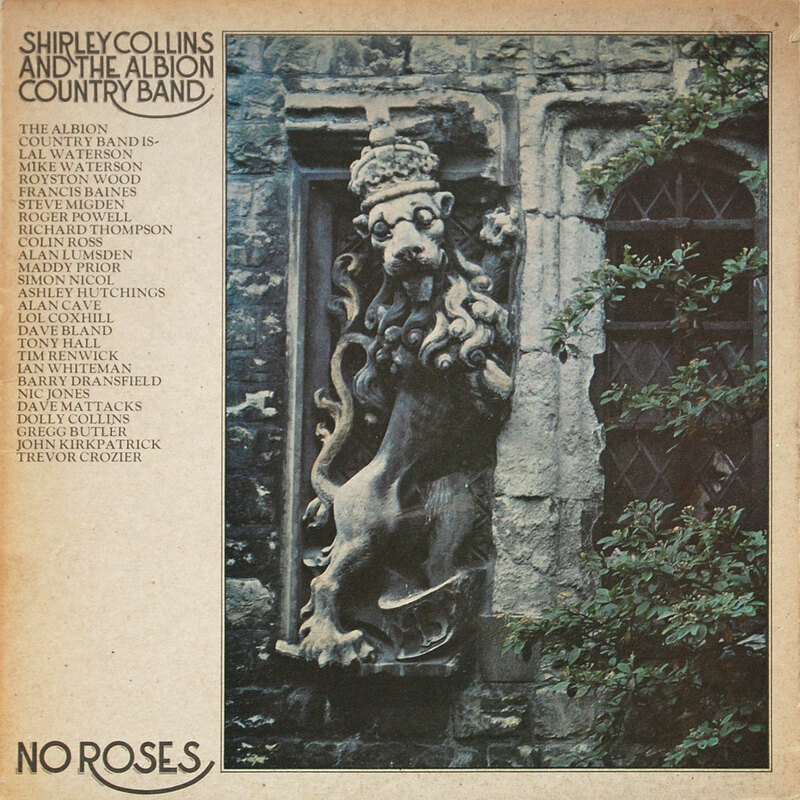 The couple in the inner gatefold are Shirley Collins and her then husband, Ashley “Tyger” Hutchings – former founding member of Fairport Convention, Steeleye Span and now the Albion Band. 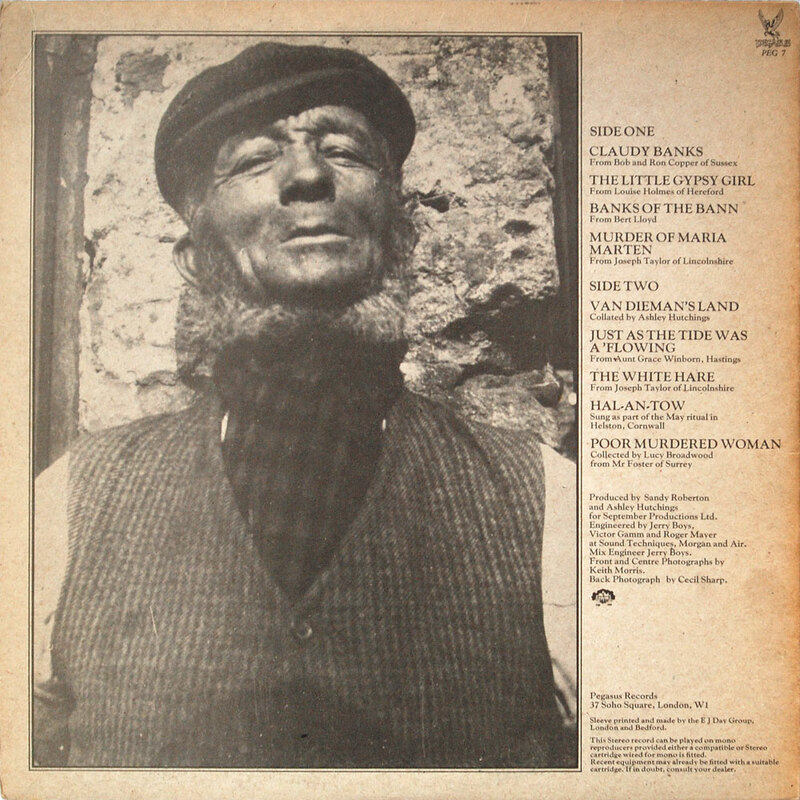 This LP was noteworthy for bringing together the cream of the English folk music scene, including Richard Thompson, Nic Jones, John Kirkpatrick, Ashley Hutchings, Mike & Lal Waterson, Trevor Crozier & Colin Ross.